On the evening of Wednesday 17th June evening, we were invited to a reception at the Norwegian Ambassador’s Residence to celebrate twenty years since the opening of UWC Red Cross Nordic. The Consul, Gerd Grøholt, welcomed the forty or so guests / London-based supporters to the Residence and invited our Rektor, Richard Lamont, to give a short speech which celebrated the partnership between Norway and Britain and the continued Nordic cooperation behind the College – and which also provided an introduction to the historical significance of the building itself. Please see below for the speech. Tom Gresvig, one of the members of the founding team, and Arne Osland, Director of Development, also gave short speeches. The following day, a delegation from UWC Red Cross Nordic attended and participated in London’s 3rd EdTech Europe Conference at Kings Place, London. The conference brought together established learning and education providers, innovators, disrupters, educators, policy makers and investors with an interest in European and global education technology. It was the second most tweeted event in London on the 18th June. The conference consisted of key note speakers (including representatives from the Gates Foundation, Google and Sal Khan himself on skype), panel discussions, networking opportunities – and it was an exciting opportunity to raise the profile of UWC and, specifically, RCN and to connect with leading innovators in the field of educational technology. Our presence also added both the global learner and teacher dimensions to a conference of predominantly investors, innovators and industry. Sir John Daniel, Chair of UWC, gave an address on the history of online learning and our recently graduated students Zoe (Germany), Ieva (Lithuania) and Thupten (Tibet) were invited to be panellists in a discussion moderated by Germot Groemer, President of the Austrian Space Forum. Our three students were fine representatives of our College at both the Embassy event and the conference – and all made significant contributions to hosting guests, forging new connections and to adding the student perspective to both the embassy reception and to the conference. The conference also gave them an opportunity to connect with Luthando Akhona Dyasi (South Africa) – and a representative of the international NGO Global Minimum Inc whose President and Co-Founder is a RCN alumnus, David Sengeh (Sierra Leone). Luthando applied to GMin’s Innovate the Cape challenge and has developed a mobile app called GoVarsity, a platform that provides mentorship on how to apply to University, and information on career paths and subject choices. Emilie was interested in our students’ international outlook, stemming from the UWC’s approach to education, and she has already written to our Staff Coordinator of Amnesty International suggesting cooperation – an exciting new development at RCN. Thank you Consul – Ms Gerd Grøholt – for hosting a reception here this evening for UWC Red Cross Nordic at the Ambassador’s Residence and to Anne Ulset for kindly coordinating the logistics behind the event. As an Englishman abroad, I have come to learn of the proud history of partnership between Norway and Great Britain and the historical significance of this building – first a hospital for shell-shocked officers in the First World War and then seat of the Norwegian government-in-exile from 1940 to 1945. King Haakon VII and the cabinet met in the dining room here at 10 Palace Gardens for the weekly State Council Meetings – Statsrad – and the building became heartbeat to the resistance movement. It was here that the king scripted his BBC World Service radio broadcasts which served as a rallying cry to occupied Norway – and which also served to transform the King into the foremost symbol of the Norwegian people’s will to fight for a free and independent Norway. With a real sense of timing, on 7th June 1945 King Haakon returned to Norwegian soil five years to the day after the Allies coordinated the escape of his family, royal court and government on board HMS Devonshire from the invading German forces. Over three years of living in Norway, I have come to learn of the high level of respect and support the Norwegian royal family have generated and maintained over the years. We, at UWC Red Cross Nordic, are hugely fortunate to receive royal patronage – Her Majesty Queen Sonja has served as our patron since the founding of the College twenty years ago and shall attend our jubilee event on campus on UWC Day on 21st September. 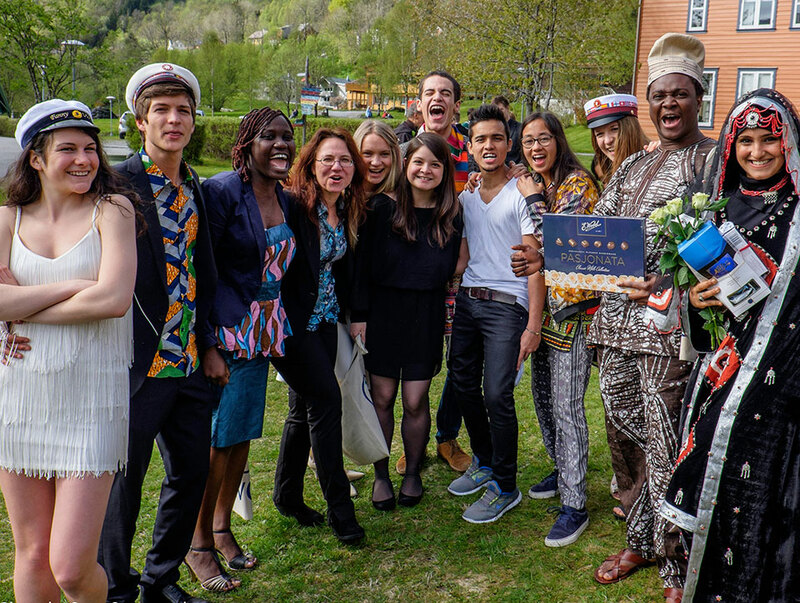 Recipient of the Nansen Prize for her commitment to humanitarian work and champion of education in a changing landscape in Norway, Her Majesty Queen Sonja has remained committed to and an advocate of our UWC Mission to make education a force to unite people, nations and cultures for peace and a sustainable future. 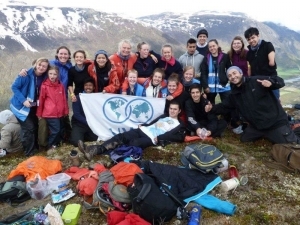 In tandem with the Norwegian Red Cross and as part of an educational cooperation between all Nordic countries and governments, from westerly Greenland to easterly Finland, our College has produced just under 2000 graduates – forged in the Nordic region and heading out from the fjords as ambassadors for the United World College movement and the Red Cross. We are proud of our short history and this evening gives us the opportunity to reconnect with supporters of our College and UWC as a whole and to introduce new friends to our work – and to celebrate twenty exciting years of our College and Nordic cooperation and, we hope, many more to come. 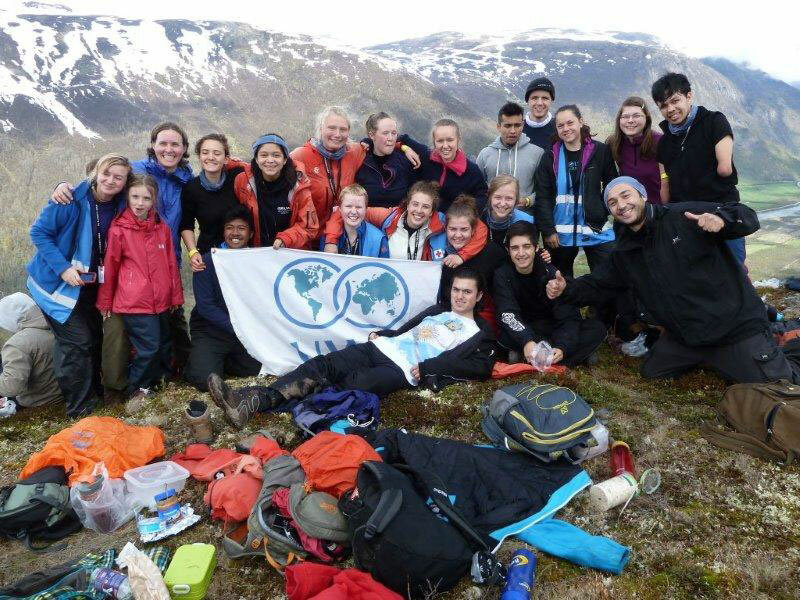 We are so looking forward to meeting you all – from representatives of the Nordic embassies to fellow educators, from those involved in different NGOs across the world to members of the wider UWC community. 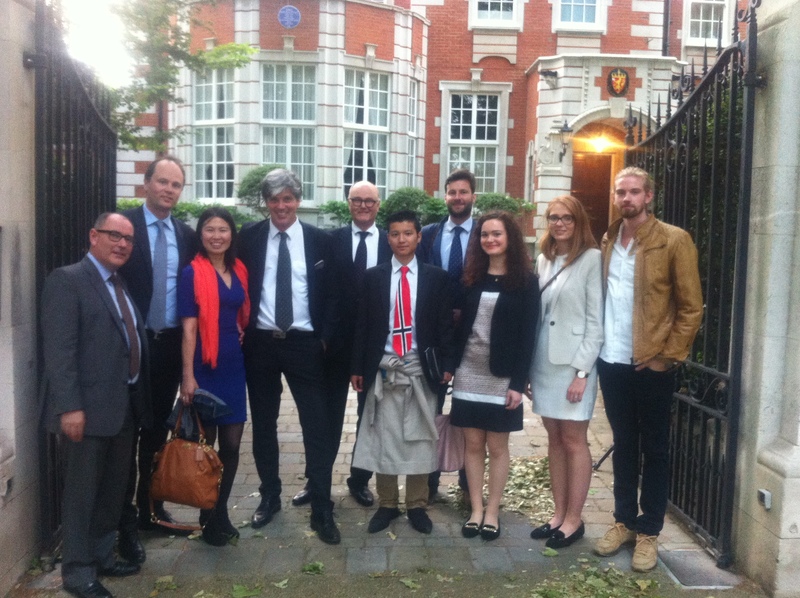 Tomorrow, some of us – including Sir John Daniel (Chair of UWC) and three students from the graduating IB class of 2015 (Zoe from Germany, Ieva from Lithuania and Thupten from Tibet) – will form a delegation to attend and participate in the EdTech Europe Conference here in London – a conference which seeks to bring industry, innovators and investors in education together. I’m very grateful to Charles McIntyre, the creator of the conference, for inviting a UWC team to make a meaningful contribution to this exciting forum. Zoe, Ieva and Thupten will be joining Luthando, a South African student here tonight, in a panel discussion facilitated by an Austrian Astronaut – I have been granted a sneak preview of the panel questions with the final one being ‘if it takes between 150 to 300 days to fly to Mars, what would you seek to study on the trip and why?’. Perhaps this evening, they might be persuaded in conversation to reveal some of their ideas on inter galactic online learning. And finally, thank you Gerd, in your capacity as Consul, and the Norwegian Embassy for kindly offering to host us all here tonight. It is a privilege to be here. It was with great sadness that we learnt on the morning of Thursday 18th June that Irene Hagen had passed away in Førde hospital following an extended period of illness. Irene had worked in the Accounts Department at UWC Red Cross Nordic since 2008 and was a much valued, warm-hearted and utterly committed colleague and friend. We remember her and shall continue to remember her as a gentle and thoughtful member of staff with a real sparkle in her eyes wherever one met her on campus – in her office, in the corridor, in the kantine. Throughout her illness, Irene remained committed to the Accounts Department – popping in on a regular basis to advise other members of the team and to catch up with everyone at lunchtime. 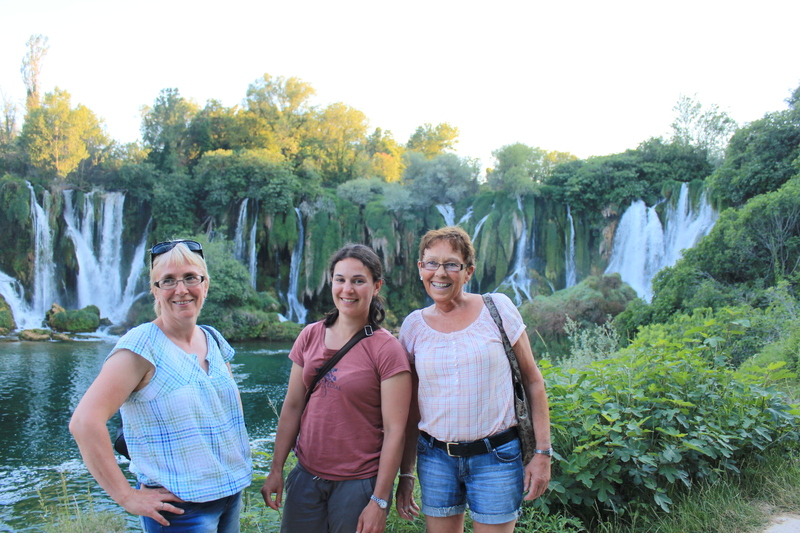 Her daughter, Silje, currently works in the Accounts Department at RCN and our thoughts go out to Irene’s husband Jan, Silje and the rest of the family. We shall miss her here at RCN but take comfort in the knowledge that we had the privilege to work alongside and know Irene. Representatives of the College attended her funeral in the church at Dale on Thursday 25th June – and the Rektor laid a wreath with a special note on behalf of the staff and the students of UWC RCN. A small meeting of remembrance will take place in the Silent House during Staff Introduction Week in August which will be coordinated by Stig Moltumyr, the Director of Finance and Services, and the Staff Reps. 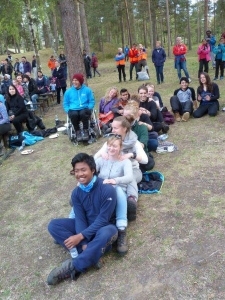 Instead of going to school on the last day of classes, a large group of RCN students, teachers and volunteers, packed with big suitcases and backpacks for the summer, travelled with the Sogn og Fjordane Red Cross bus to Lom for the annual Norwegian Red Cross event, Til Topps. Galdhøpiggen is, with its 2,469 meters elevation, the highest mountain in Norway and with that the highest mountain in Scandinavia and Northern Europe. 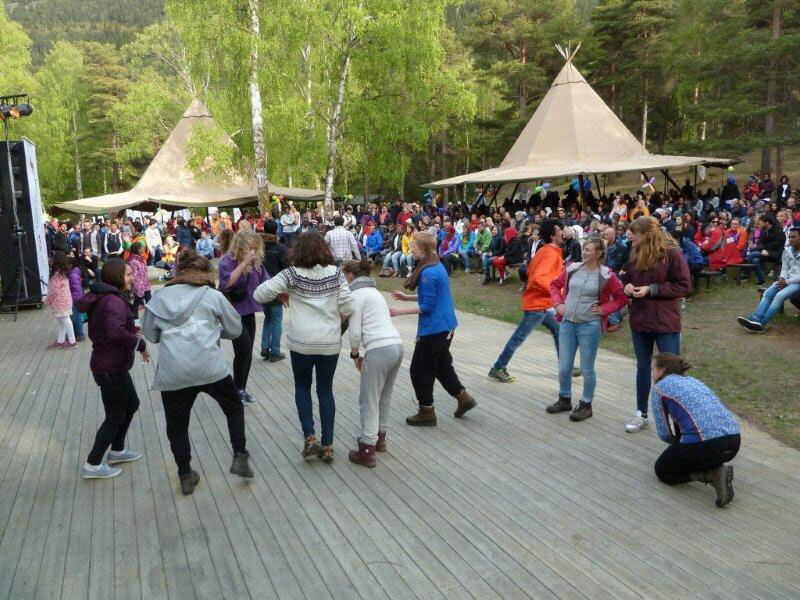 After arriving and putting up the tents on Friday evening, there was a cultural show with a very nice atmosphere where people from all over Norway played many different kinds of music. One of our students was even recognised by a former Haugland patient who attended the EAC the student took part in during her stay at the Haugland Centre. Instead of going to bed after the show, the students found a nice beach next to the river and decided to make a bonfire – it is light for a very long time in Norway at this time of year. And so the rest of the night was spent around a bonfire on the beach eating marshmallows with biscuits and Nugatti and oranges with brownie mix in them. The weather forecast for Saturday was not good enough so the Red Cross decided to climb another mountain instead of Galdhøpiggen. 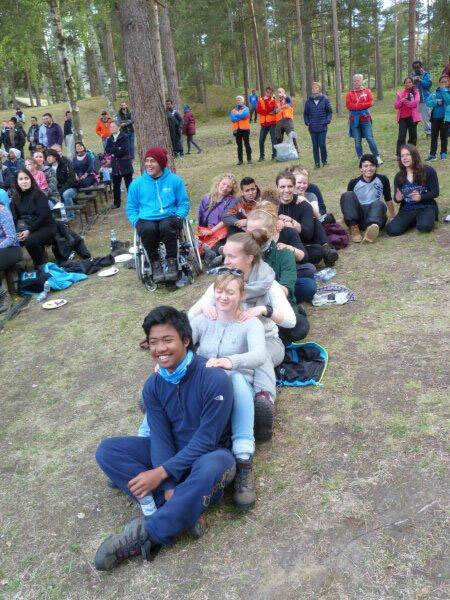 The whole group of hikers numbered around 1400 and was divided into different groups. 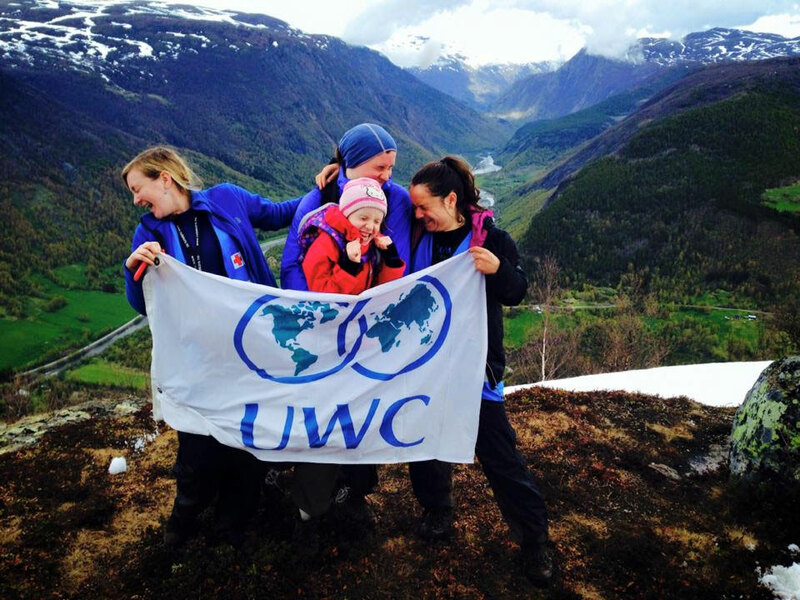 UWC students formed their own group, but were also invited to be leaders of some of the other groups and were given some responsibility to make sure everybody in the groups went up and came down the mountain safely. The hike was beautiful, the weather was better than expected and the leg gaiters and double layer of fleece sweaters were definitely not necessary. The view on the top of the mountain was stunning and the hike was the perfect opportunity to interact with the local Norwegians and with immigrants who had recently moved to Norway.